For much of the last few years, Boeing has been soaring. In 2012, the aircraft-manufacturing corporation raked in $3.9 billion in net income; it’s projected to earn at least $4.2 billion this year. And thanks to the $95 billion in advance orders of its new 777X airliner, stocks have risen to impressive heights. Yet despite all this prosperity, Boeing decided to veer into a two-pronged dogfight with the state of Washington and the International Association of Machinists (IAM), using the thousands of Boeing jobs in Seattle’s Puget Sound area as leverage to try to obtain lavish tax breaks and enormous contract concessions, respectively. If the state and union didn’t grant the company’s requests, the company said, it would likely have to move a huge chunk of its new 777X production operations elsewhere. “We chose to engage in Puget Sound first, but without full acceptance by the union and legislature, we will be left with no choice but to open up the process competitively and pursue other options for locating the 777X work,” a spokesperson for Boeing explained in a statement. With the fate of as many as 56,000 jobs producing the 777X in the Puget Sound area at stake, Washington state officials rolled over quickly. On November 9, Gov. Jay Inslee and the state legislature capitulated to Boeing in a special Saturday session, making massive tax concessions contingent on the jobs remaining in Washington. But the size of the tax break was breathtaking: $8.7 billion over the next 16 years, the largest state-level tax subsidy ever granted in the United States. In a nation where corporations already extract an estimated $80 billion annually from the 50 states, such a distinction is not insignificant. Meanwhile, Boeing also demanded that the Machinists local, IAM District Lodge 751, concede to an eight-year contract that included skimpy, sub-inflation general wage increases of 1 percent every other year, healthcare cost increases and pension cuts. Though Boeing’s contract with the Machinists doesn’t expire until 2016, the company pushed for an early re-negotiation. And again, as in its fight with the state of Washington, Boeing threatened to relocate production of the 777X elsewhere if District 751 turned down the deal. According to District 751 spokesperson Bryan Corliss, Boeing mentioned the possibility of shifting the 777X work to a variety of other sites, including North Charleston, S.C.; San Antonio, Texas; Huntsville, Ala. (where it operates a rocket-testing facility); Long Beach, Calif; and Ogden, Utah. Some of those plants are non-unionized, though workers at the plant in Long Beach are represented by the United Auto Workers. District 751 leaders made no official recommendation on the proposal, says Corliss. But the details of the Boeing demands generated fierce opposition among rank-and-file members. Boeing’s threat of moving—and possibly cutting—tens of thousands of well-paying jobs only ratcheted that tension higher. At the meeting before the vote was held, 751’s President Tom Wroblewski went so far as to rip up a copy of the proposal before hundreds of District 751 members. Ultimately, the members resoundingly voted down the Boeing proposal by a margin of 2-1. Jake Rosenfeld, a labor expert at the University of Washington, translates this statement to mean: “What the company clearly wants is South Carolina labor standards with the expert skills that Washington state Boeing workers possess.” South Carolina workers tend to be lower paid and less educated than their Washington counterparts; the state’s “right to work” status also allows employers to hire and fire employees more or less at will. 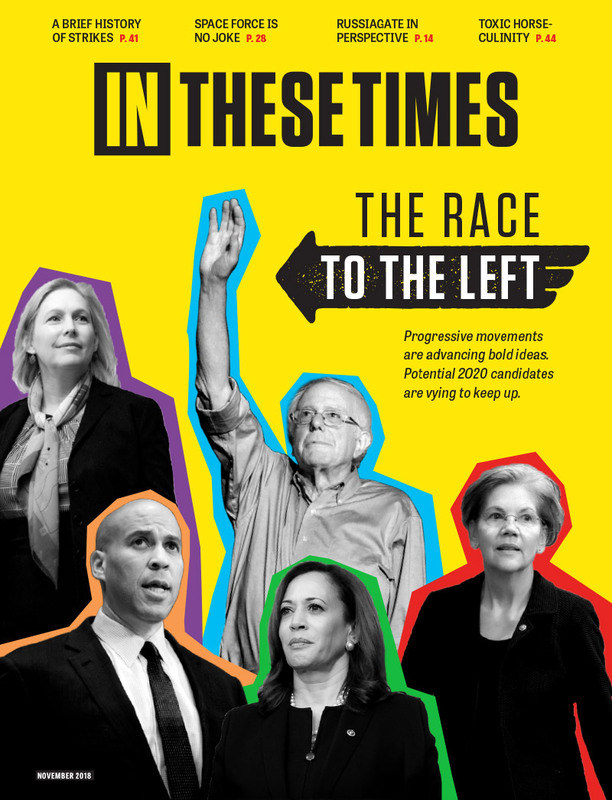 Full disclosure: UAW and IAM are sponsors of In These Times. Nope! Corporate Amerika care only for the bigger bucks to line the pockets of the upper echelon and rich stockholders and if it screws the community and workers that is just tough s^|t. How many corporations have taken huge tax breaks, free lunches and so on, from municipalities and when the free stuff runs out - - look for other sugar daddies. To Boeing happy workers cost too much and gracious tax breaks are only good till some others offer better. Apparently Boeing management has no desire to share the wealth. Everything comes down to $$$. They must be smart enough to know that a happy worker is a good, productive worker. They are basically saying 'we don't think you are anything special, anyone can do this work, take it or leave it.' Nice! While over time, this may be true, the delays and problems with the Dreamliner suggest their roll of the dice didn't work out.